Three Audencia Business School students are earning national recognition for a simple but revolutionary idea. 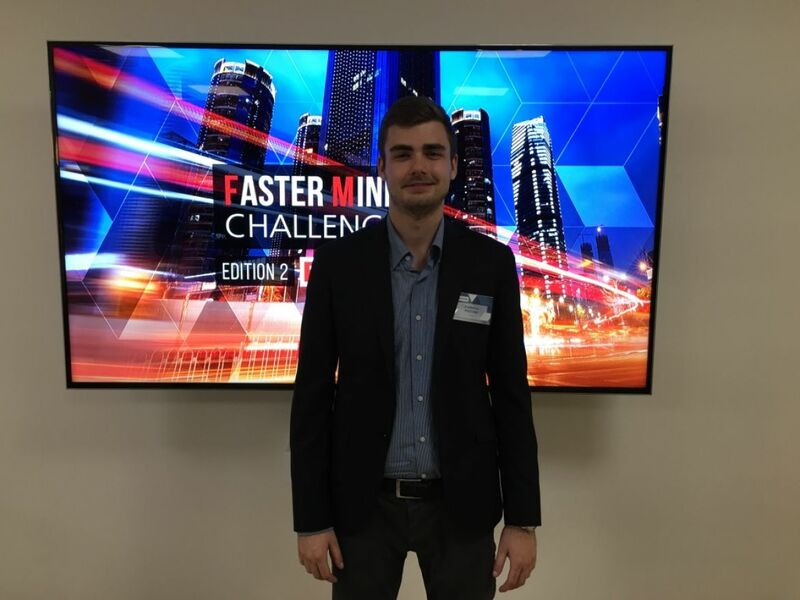 Federico Piccioni, a student in Audencia’s MSc in Supply Chain and Purchasing Management (MSCPM) programme, travelled to FM Logistic in Compiègne, France, earlier this month to compete in the national finals of the Faster Mind Challenge. Along with his teammates, Jérémy Soudée and Ali Fakher Eddine, Federico won second place amongst 180 entries for the proposal to replace cardboard shipping boxes with a reusable alternative. Federico says when he first heard about the challenge from MSCPM Programme Director Anne-Christine Le Du, he thought, “Why not gain some practice?” He knew it would be a good networking opportunity, but was also excited for the chance to make a sustainable contribution to his field. “Creating value for the environment is a lot of the reason I chose to study supply chain management at Audencia,” he says. Federico says he and his teammates had a lot of fun putting together their entry – including a video demonstration of their idea that they shot in a single day. It was an opportunity to work closely with students from other countries (Federico is from Italy, Jérémy is from France and Ali is from Lebanon), and he says they had plenty of support from Audencia faculty members as they prepared for the finals. Federico also appreciated the chance to meet the members of FM Logistic’s executive committee, who welcomed students with a tour of the warehouse, a lunch before the presentations and a discussion after the prizes were announced. “For me, that was the best part, because you get to understand the reality of the field that you’re studying,” he says. Federico says participating in the challenge has opened new doors for his career. FM Logistic may study and further pursue his team’s idea, and he also made some valuable connections. Right now, Federico is interning with a company in Nantes and planning for another six-month internship in January to complete his MSCPM. 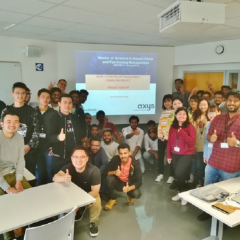 His goal is an international career in supply chain, and he says connecting with industry professionals through opportunities like the Faster Mind Challenge has been a critical part of his experience at Audencia.